Remember how I mentioned being inundated with peaches last week? 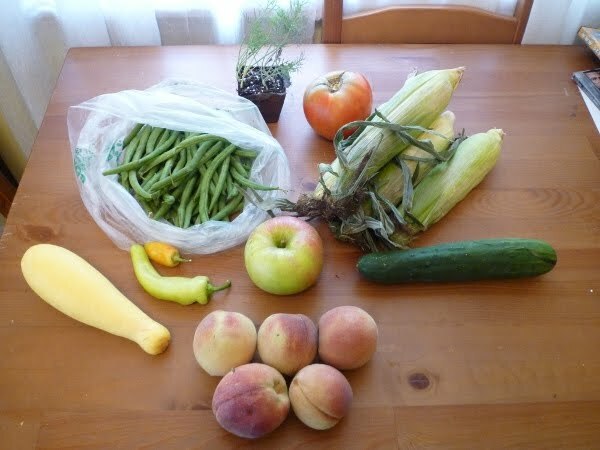 (I know, woe is me…) Here is one of the county fair entries that came out of the bounty. 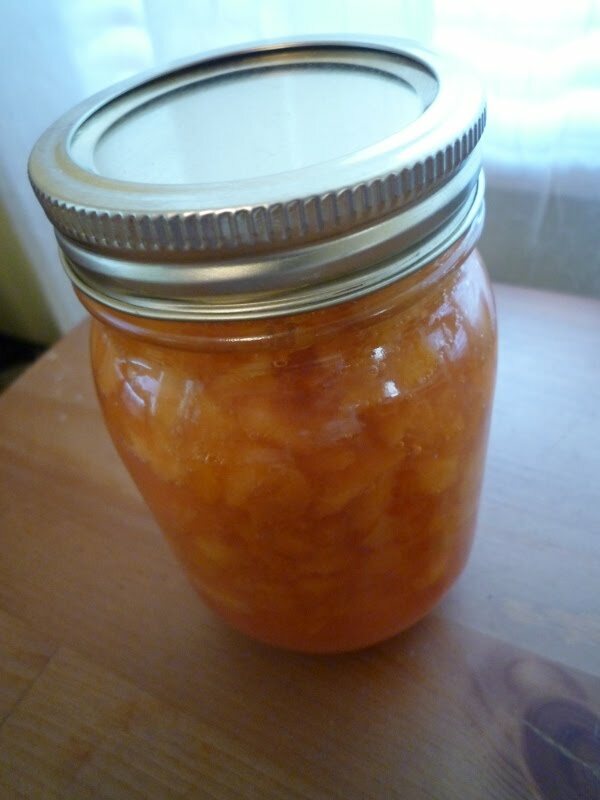 All-fruit peach preserves. Nothing but peaches, lemon juice, white grape juice, and some pectin. I love the color so much. The other entry was a peach apple cider butter. It came out with just enough spice, and the hard cider I used added a tang on the finish. Yum. Right now they’re in the gym of the Thomas Jefferson Community Center waiting for the Arlington County Fair judges to taste them. As I said to one of my colleagues, “I am fully prepared to be schooled by somebody’s grandma.” By the time I got to the gym yesterday, there were lines of jars filled with preserves, jellies, fruits, vegetables, and honey of every color in the rainbow. It was a pretty impressive display–I won’t lie, I felt a little bit intimidated. But hey, if you don’t try, you’ll never know if you can succeed. And so I left my jars among the others and tucked the claim checks away in my wallet. Regardless of what happens, I’m really proud of the food I made and hope that the tasters enjoy it. There weren’t many people at the fair due to a gray, drizzly sky, but I wandered around for a little bit. The food stands alone showed what a diverse place Arlington is. How many county fairs do you know of that have pad thai and stir-fry next to the deep-fried oreos and funnel cake? I hope to go back during the weekend if we get some nice weather. Hope you are all enjoying the waning days of summer. Be blissful.